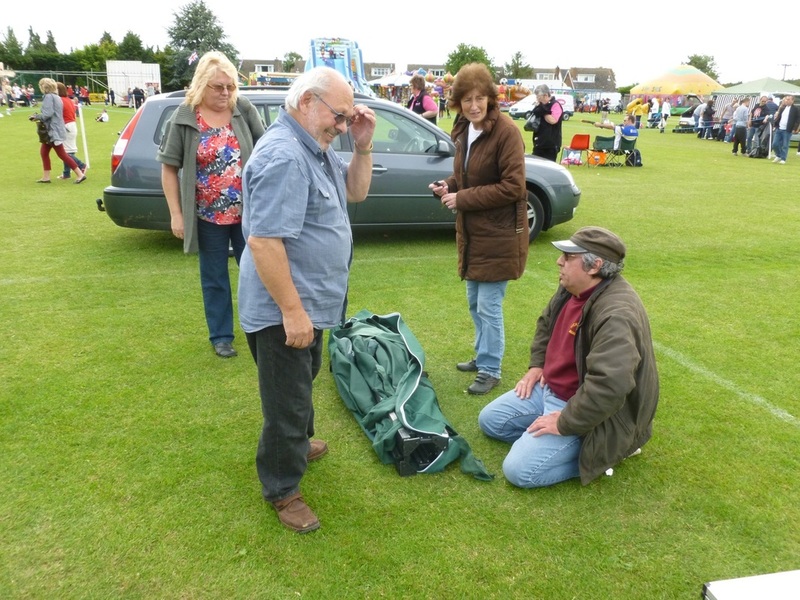 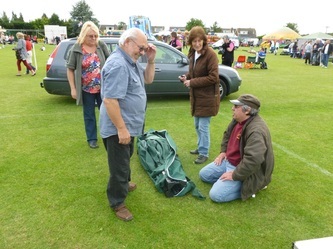 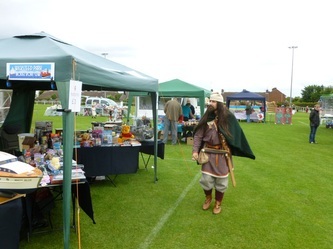 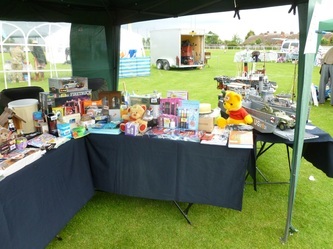 After the Mayhem Sunday was washed out we were left with the Tombola prizes for that day and no revenue, so Nigel Ellis suggested that we might like to take a stall at the Irchester Gala. The weather, with the exception of a short shower before things got underway was kind to us, warm if a little cloudy. 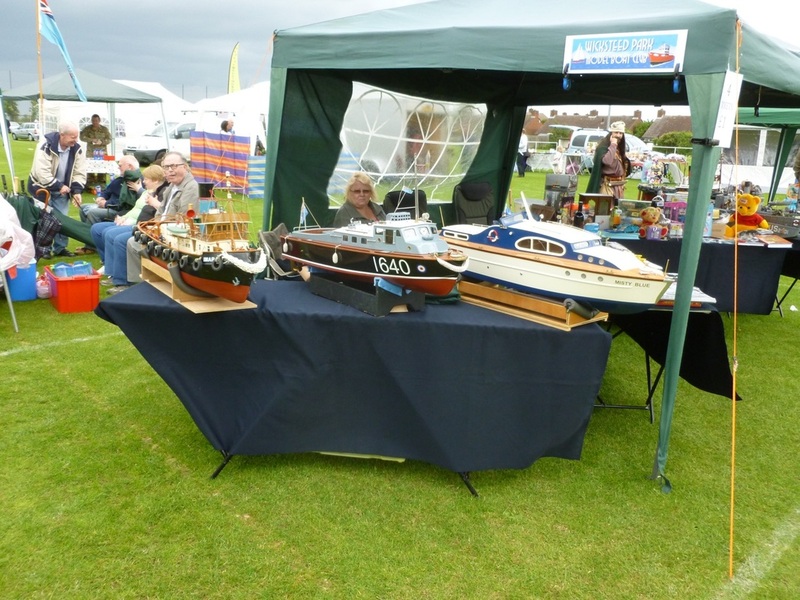 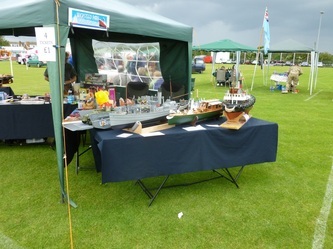 As you can see from the pictures Dennis and myself were able to put on a good display of boats and the way the stalls were set out, after looking at the boats on one table the public had to pass the front of the Tombola tables to get to see the other boats, meaning they had to pass Jan or Maureen with the bucket, few succeeded without putting their hands in their pockets. Nigel and Linda lent us their gazebo for the day and also helped out answering questions about the boats on display. 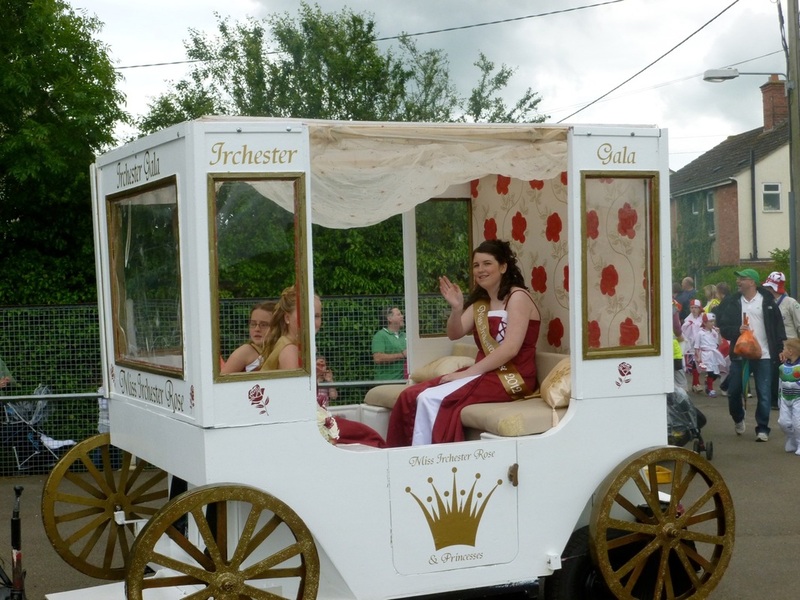 This was all after he had filmed his daughter Anita arriving at the Gala as Miss Irchester Rose and Princess. 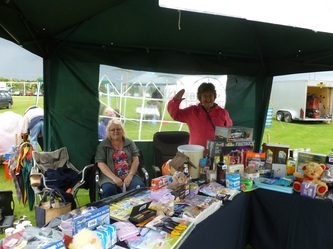 Thanks to Janet, Maureen, Dennis and Nigel for their efforts in raising 92.00 net in the three and a half hours the stall was open to the public. 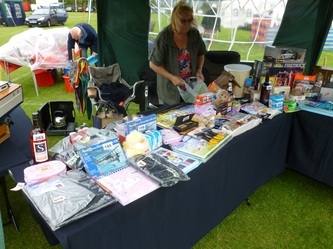 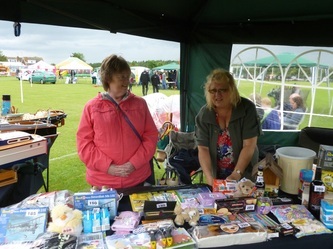 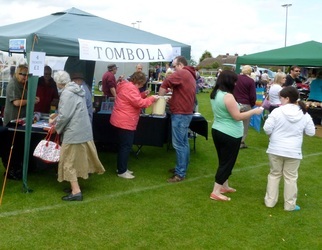 And a thank you must also go to the Wicksteed Park MBC Members who donated Tombola prizes.